The heart and soul of North Myrtle Beach, South Carolina is shag dancing, wooden dance floors and live beach music and when you make Bay Watch III 1841 your North Myrtle Beach vacation destination, you will not be very far at all from the pulse of this beach town. 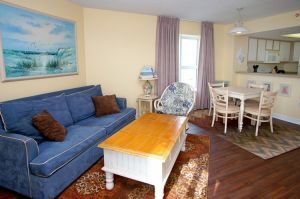 Bay Watch III 1841 is a colorful, beautifully decorated condominium rental. 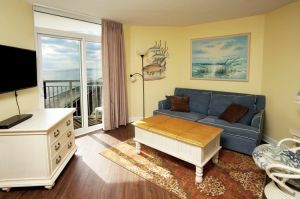 It is a one bedroom condo with one bath and an oceanview balcony. 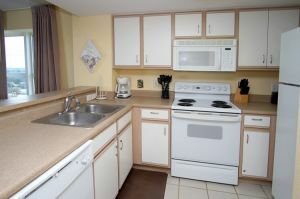 The kitchen is accommodating as is every other aspect of this condominium rental. 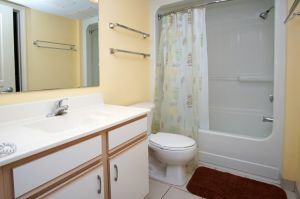 Featuring a washing machine and clothes dryer, flatscreen CCTVs, DVD players and WIFI, this North Myrtle Beach vacation rental boasts all the modern conveniences of home. The private oceanview balcony of Bay Watch III 1841 gives your family an incredible view of the Atlantic Ocean at this smoke-free resort. 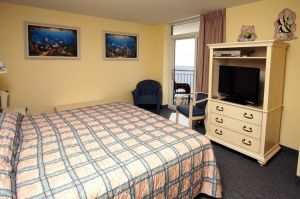 Bay Watch Resort also has an indoor swimming pool, game room, fitness center and restaurant on site. The beach is beautiful in this part of North Myrtle Beach and you will love being so closely located to the live entertainment theatres, outlet malls, seafood restaurants, boat tours, miniature golf courses and more! 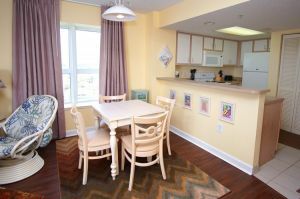 Everything is just minutes away from Bay Watch III 1841 which makes your pending North Myrtle Beach vacation one that promises loads of conveniences, in addition to loads of fun at this oceanfront resort. Departure Maid Service is Required.